Recently I went on a 5 hour ride through the GA mountains and enjoyed myself a LOT. Next I'm planning an all day ride from Atlanta to the Tail of the Dragon and back. My only issue is that I'm a little unsure of the more curvy roads on the way. Reaching out for more potential roads to take. I'll put my current route out of Atlanta below. Out of ATL up 400 North. From here on out I'm unfamiliar about possible routes. From 143 turn North on 1127. Take 1134 up to HWY 129. 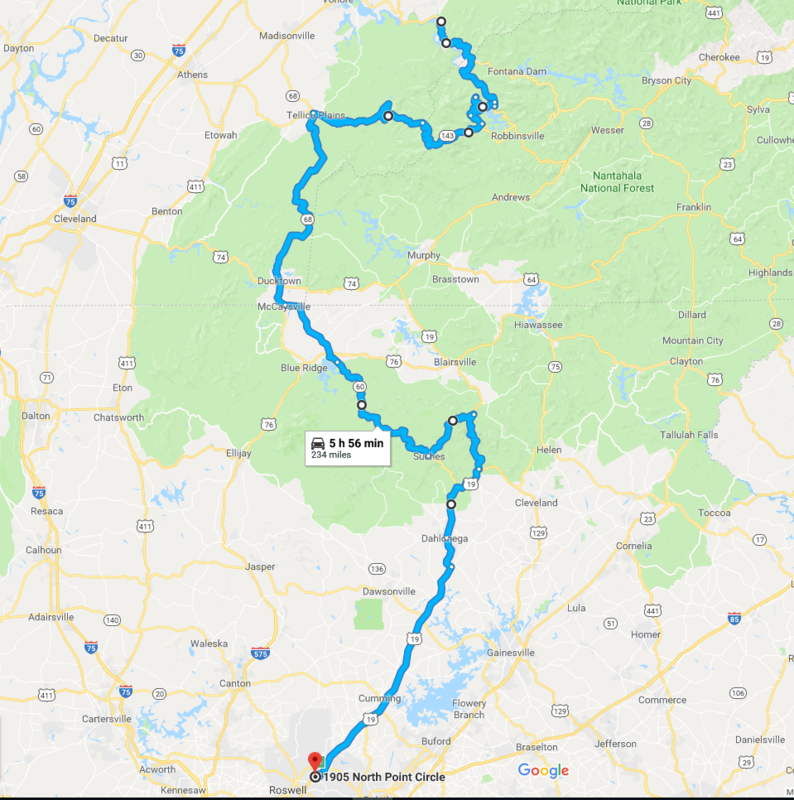 That looks to be a pretty fun route to me, but if on the way back you are looking to go a bit easier I'd say connecting through Robinsville-Andrews-Murphy on 74, then to Blairsville and east of Suches on 19. This could give you a break from the curves and speed up getting there or the return home. As a side note 178 from Anderson to Rosman then 215 up to Waynesville is a beautiful and fun road. It would have to be another trip but I like the route. I would be very cautious on the tail of the dragon. LOTS of idiots that like to pass on blind curves and take curves way over the center line. I just took a bikesafe NC course with the highway patrol, and many of the crash videos they showed us were from the TOTD. Have you received proper medical attention...from tail to HEAD? I've done a few runs similar to this last year. Looking forward to putting a few more under my belt this year as well! If anyone has any interest update this and I'll throw the invite out when I do. Generally its a work buddy and I who ride it. 6-8 hour day. 3 hour ride each way is my "limit" of comfort. I went on a group ride with Meetup and it was 3 hours each direction and my neck and shoulders where sore and my hips also. i ordered a windshield and lets see if that helps.